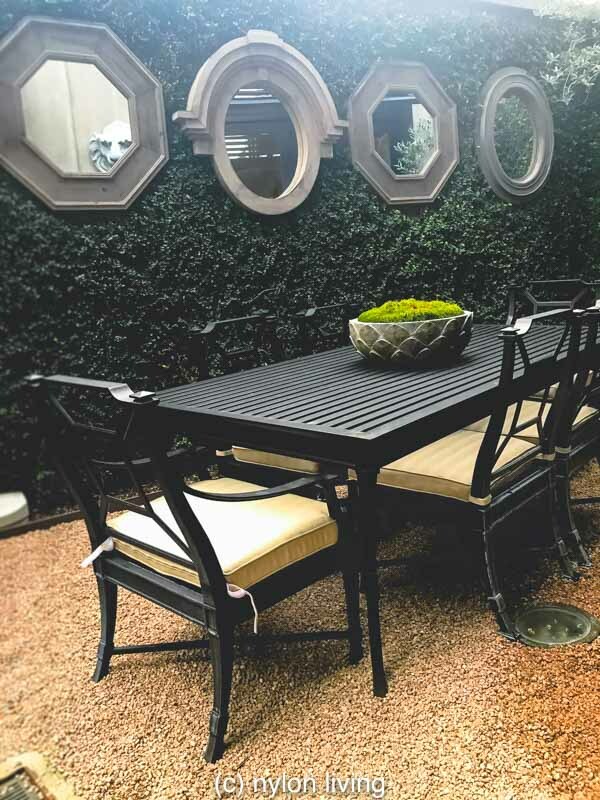 When I saw the urban city garden that the ingenious folks had created in front of the RH Gallery at Highland Village in Houston, Texas, it was love at first sight. And, I really don’t believe in love at first sight with a few notable exceptions (pastries, shoes, chairs and now, an urban garden room). As you can see, this particular RH Gallery occupies an awkward corner spot. There isn’t much garden room which makes it perfect for the usual awkwardly-shaped urban city gardens that you usually come across. This garden corner has something to engage your senses. 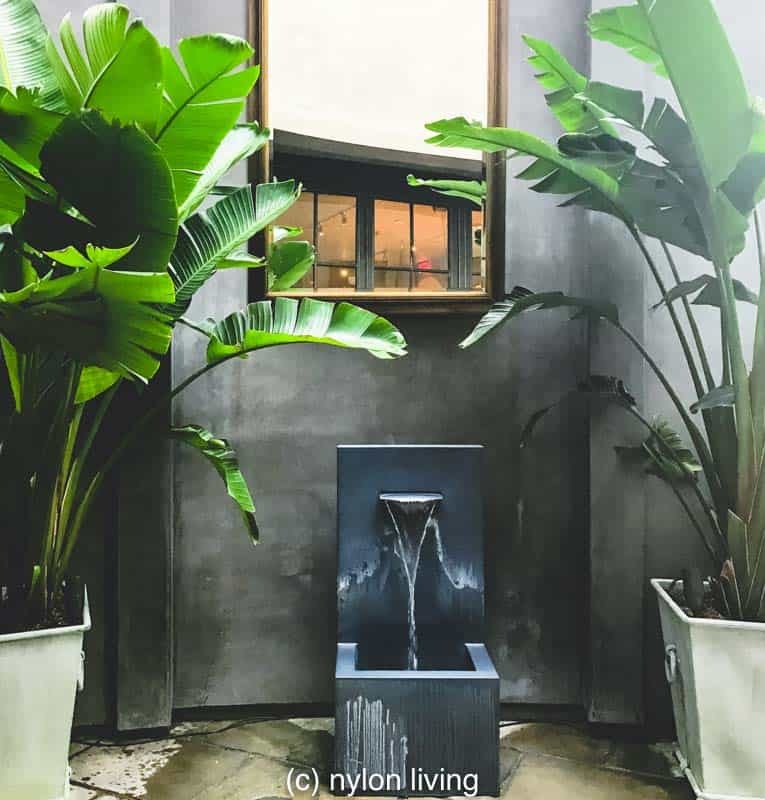 Against the sound of falling water, you get the lush greenery of the giant potted plants juxtaposed against the texture of smooth concrete and the glint of a gilt mirror. This urban city garden is anything but a boring concrete jungle. This urban garden room has comfortable lounge chairs to hang out and side tables to put out drinks and nibbles. All the comforts of a living room only its outside! Comfortable loungers encourage people to hang out with pre and post dinner drinks. 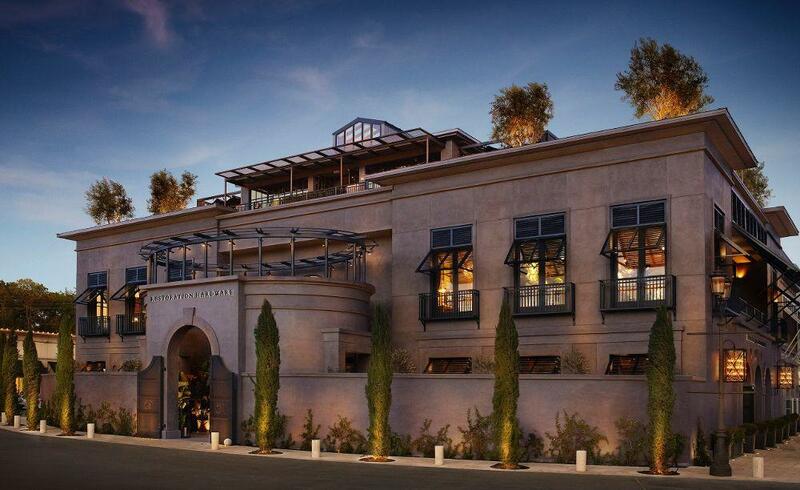 Adding to the feeling of outdoor living is the Restoration Hardware outdoor lighting. 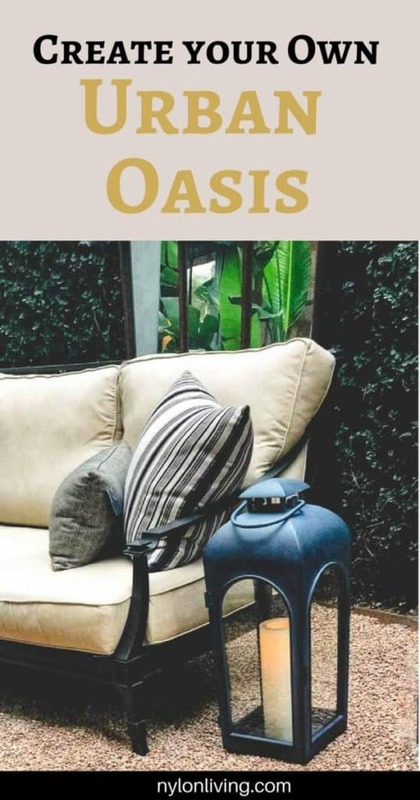 Interspersed amongst the seating are beautiful outdoor lanterns that provide light as well as ambience. Let’s not forget the crowning jewel of the Restoration Hardware lighting in this urban city garden. 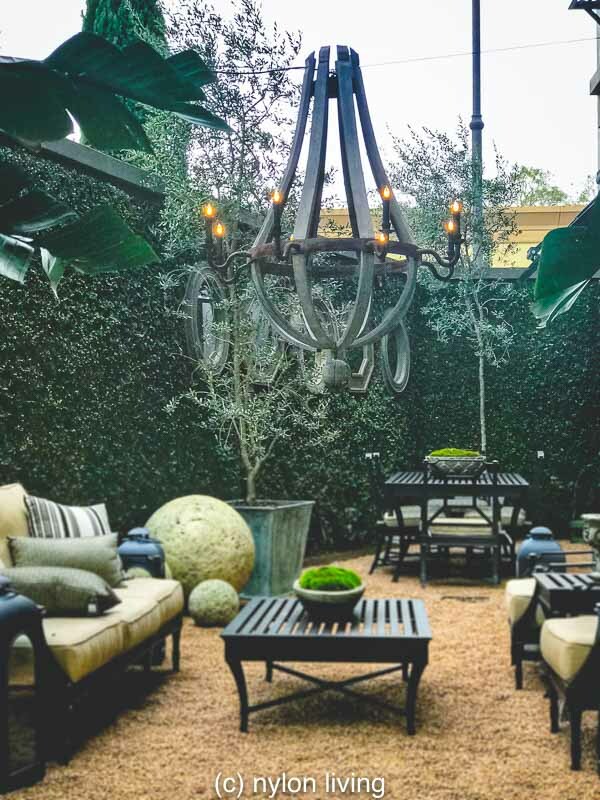 Don’t you think this wooden Restoration Hardware chandelier transforms this space into an urban garden room? And, just adds more lovely drama and texture. This Restoration Hardware chandelier is made for outdoor lighting. An urban vertical garden provides privacy from the neighbours and also adds to the lush feeling of the space. Yes, this urban vertical garden is fake. Along with the explosion in use of fake flowers inside the house, the use of faux vertical walls is also booming. 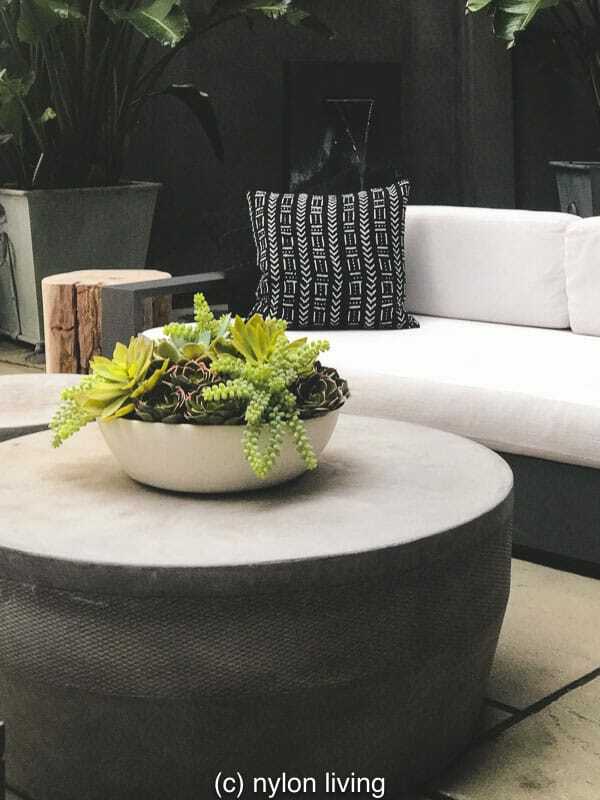 Thanks to improved technology, both indoor and outdoor faux plants are increasingly lifelike in appearance. You can wait a few years (or maybe 10) to get a real lush green wall that looks this good, or you can throw up a fake green wall over the course of a couple of days. I, for one, am a fan of instant gratification. Did you notice that this urban city garden feels green and lush like a tropical hideaway without actually having too much planting? 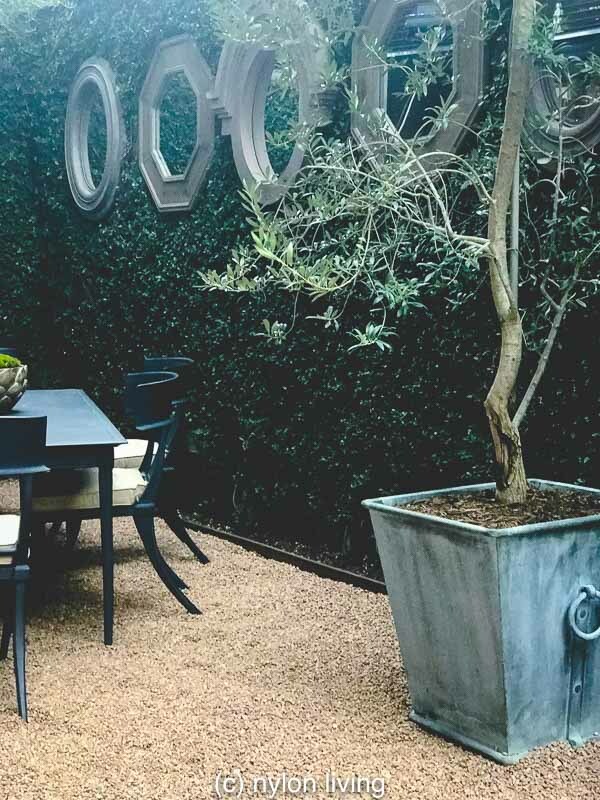 Some artfully placed planters and the vertical garden walls evoke the feeling without the hassle and maintenance of a fully-planted container garden. I don’t know about you but I have the hardest time keeping container gardens watered and alive. 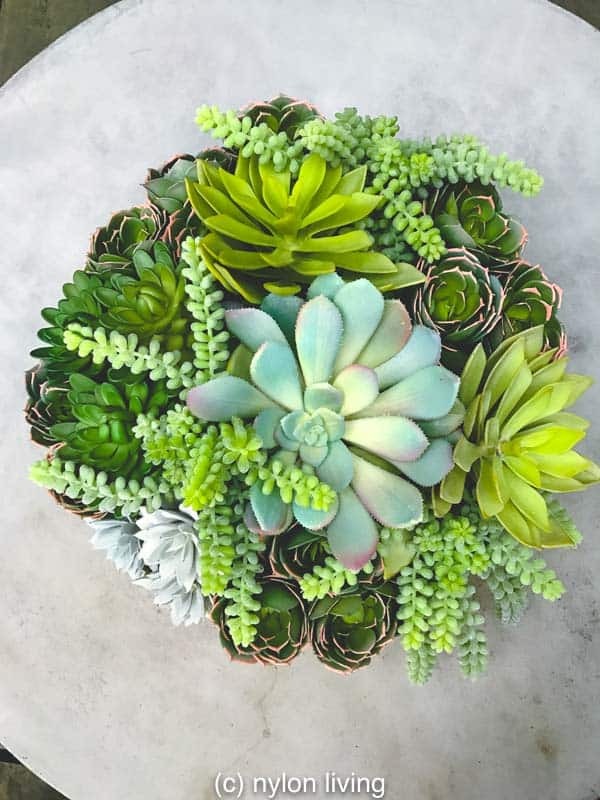 No such problems when you only have a handful of container plants to keep track off, and they include succulents! The lush feeling is emphasised with planters and a vertical green wall. What do you think? Are you as enamoured as I am with this urban city garden?